Asparagus is a perennial plant that can be grown successfully in many parts of Mississippi. Performance in south Mississippi gardens, however, is likely to be disappointing. In the southern part of the state, asparagus may not become completely dormant in winter and may continue producing a few weak spears. Asparagus grows on a variety of soils but prefers well-drained soils high in organic matter. Plants lose vigor, are more susceptible to root rot, and may die when planted in poorly drained soils. Since asparagus is a perennial plant that grows in the same location for several years, there is only one chance to prepare the soil before planting, so do it right. Start preparing soil about a year before planting by mixing in large quantities of organic matter, such as composted manure, compost, and green manure crops. Mix 2 to 3 pounds of 13-13-13 fertilizer per 100 square feet into the soil and lime to a pH of 6.0 to 6.5. Asparagus does poorly at a soil pH below 6.0. Mary Washington is the most widely available garden variety. Plants and seeds of newer varieties, such as UC-157, Purple Passion, and Jersey Giant, are of more limited availability to home gardeners. In early spring, plant 1-year-old crowns 4 inches deep in clay soils and 6 inches deep in sandy-textured soils. Do not use older crowns or pieces of old crowns dug from an existing bed. Dig a trench 12 to 18 inches wide to the desired planting depth in the prepared planting area. Space crowns 12 to 15 inches apart on the bottom of the trench. Spread roots, being sure the crown is right side up. Cover crowns with 2 inches of soil, and during the first season as plants grow, gradually fill in the trench with soil. If you plant more than one row, space rows 4 to 5 feet apart. Keep bed free of weeds at all times. Remove all brown, frost-killed stalks in winter, and, if available, cover bed with 2 to 3 inches of composted manure. 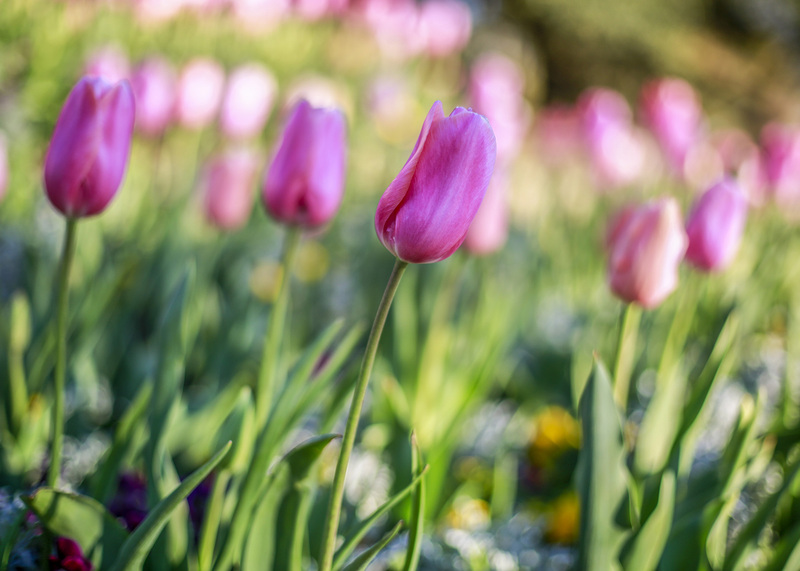 Each spring before growth begins, broadcast 2 to 3 pounds per 100 square feet or 25 feet of row of 6-8-8 fertilizer and work it lightly into the surface. Repeat fertilization after harvest. Harvest can begin the third year. Harvesting earlier than the third year reportedly weakens the plants. Harvest all spears, large and small, when 6 to 8 inches long, and before leaf bracts at the tip begin to open. Cut spears 1 to 3 inches below the surface, trying not to injure spears developing below the surface, or you can snap spears at ground level. When the diameter of most of the spears drops to the size of a pencil, stop harvest for the year. On young beds, harvest for only 2 to 3 weeks. Harvest established beds for up to 8 weeks. Plant crown 4 inches deep in 12- to 18-inch wide beds. Cover with 2 inches of soil and gradually fill in this trench during the first season. Do not allow grass to take over the bed during summer months after harvest. Fertilize and keep the bed clean and watered. Asparagus fern can reach 4 to 7 feet in height. Do not cut until after frost kills it in late fall. Control insects attacking spears during harvest with malathion and carbaryl. You can grow asparagus plants from seed instead of starting with 1-year-old crowns. 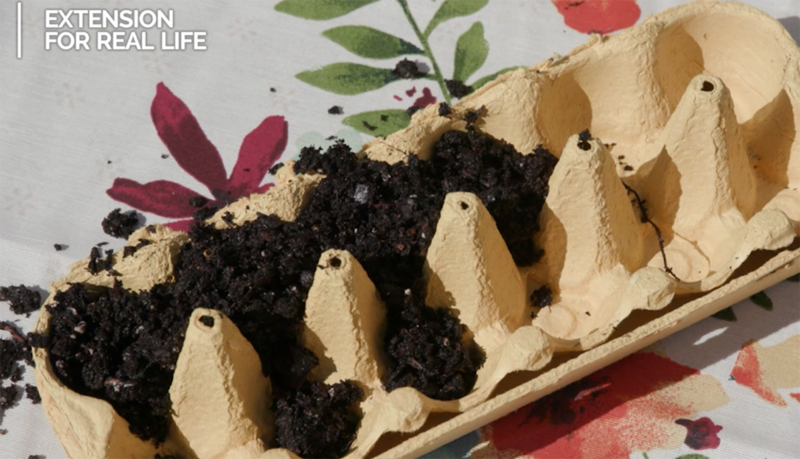 To grow plants from seed, soak seeds in aerated water for 3 days. 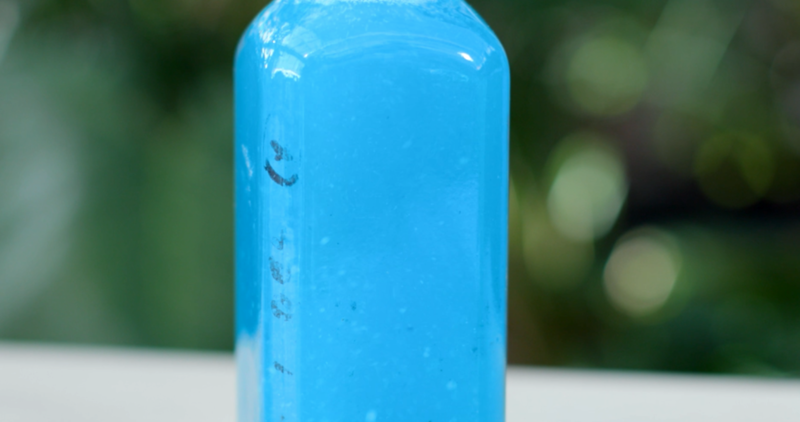 Use a small electric aquarium air pump with a bubbler stone to aerate the soaking seeds. 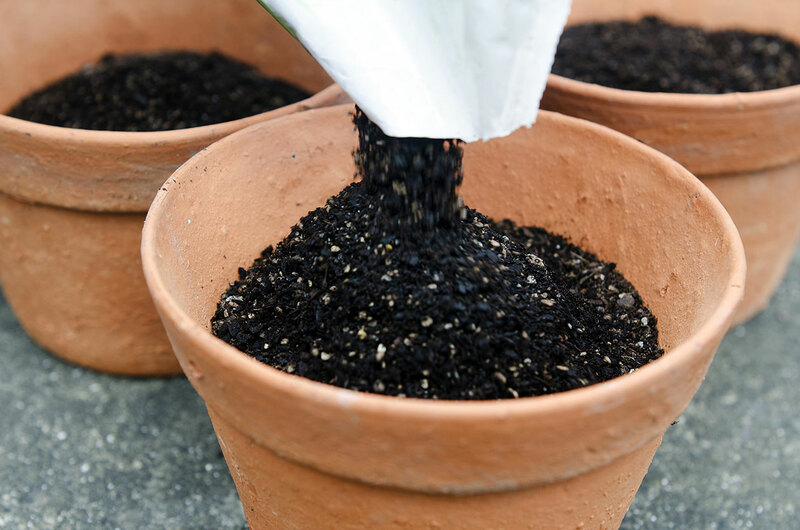 Plant individual seeds about 1 inch deep in small pots or containers. Plants should be large enough to set in the garden in 12 to 14 weeks. Treat seedlings the same as 1-year-old crowns, using the same planting depth and spacing. During the first season’s growth, gradually fill in the trench. Asparagus has both male and female plants. Male plants produce spears of larger diameter than female plants. New all-male varieties are now available. Female plants produce red berries in late summer. Volunteer seedlings originating from these berries may spread asparagus to other garden areas. Mary Washington—leading home garden variety; some resistance to rust. Jersey Giant—hybrid; 100 percent male; producer of larger, uniform spears; excellent vigor; tolerant to fusarium wilt. Purple Passion—thick spears; very productive; turns green when cooked. Now is the time to fertilize some landscape plants, but there are several different kinds of fertilizers available. MSU Extension horticulture specialist Gary Bachman helps you understand what’s in fertilizer and the different types available. Many folks have been waiting for this moment - the day it's warm enough and past the main threat of frost to become tomato planting time. How often do I have to pollinate?